Q: Why do I need to create a login? A: If you subscribe to Arvig WiFi TV you will need to register/create a login to use for logging into the WiFi TV app. Plus, the login information is used for arvig.net access, where you can view your account details. Q: What if I forget my password I registered with? A: If you forgot your password, click on the “Forgot Password” link on my.arvig.com and enter the email address you registered with. You’ll receive an email with a link to reset your password. 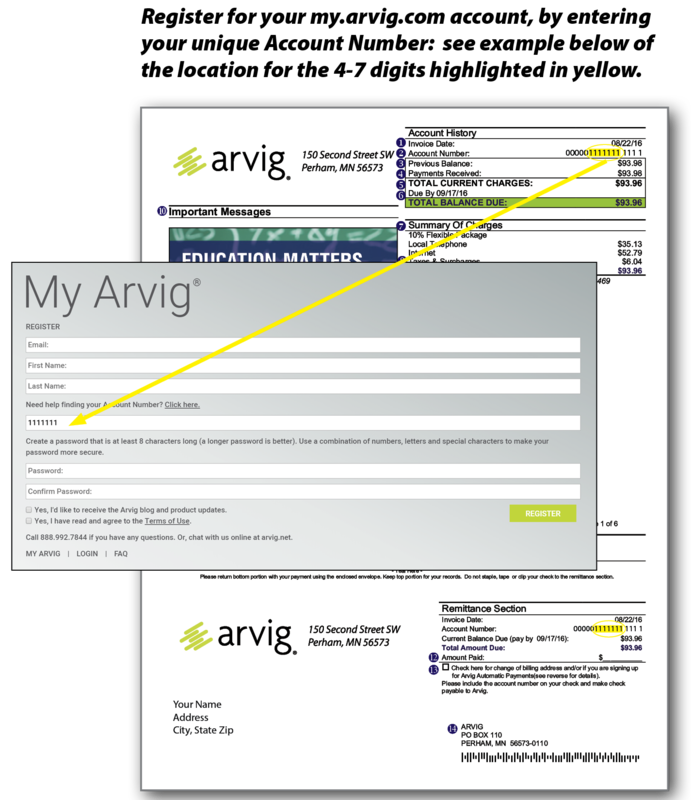 Q: Do I need to do anything on my.arvig.com? A: No, this is just where you create/register your account for WiFi TV and to log into your account at Arvig.net. Q: What if I don’t know what account number to enter on the registration page? A: You can find your account number on your statement or call Customer Care at 888.992.7844.